Catechist is a vocation of service in the Church, a gift from the Lord that must be transmitted. Catechists walk with Christ; they don't start from their ideas but look for the Lord, and that searching makes their hearts burn. 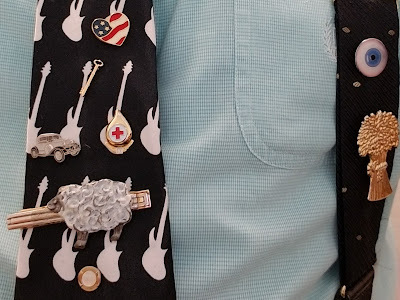 Their role is creative; they seek different ways to announce the good news. The quest to make Jesus known leads to a quest for new signs and forms to transmit the faith, keeping in mind the style of Jesus, who adapted to the people around him to bring them God's love. God's message is always the same, but we must adapt to transmit it. 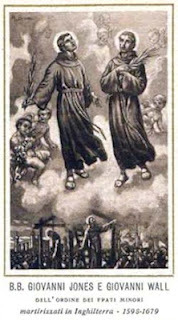 Be joyful messengers, guardians of good and beauty who shine in the faithful life of the missionary disciple. Gn 41:55-57; 42:5-7a, 17-24a When hunger came to Egypt and people cried to Pharaoh, he directed them to go to and obey Joseph, who rationed grain. When Joseph’s brothers came, he recognized them but concealed his own identity, locked them up, then told them, “Come back with your youngest brother, and you'll live.” They agreed but said to one another, “We're being punished because of our brother.” Reuben: “I told you, but you didn't listen; now comes the reckoning.” They didn't know Joseph understood them. Joseph turned away and wept. Ps 33:2-3, 10-11, 18-19 "Lord, let your mercy be on us, as we place our trust in you." Sing the Lord a new song; he brings nations' plans to nought, but his plan stands forever. The Lord's eyes are on all who fear him and hope for his kindness; he preserves them in spite of famine. Msgr. Jim Halley homily video: Choose him who chose you. Creighton: Jesus says his bread is doing the Father’s will. When we pray the Our Father we ask that God’s will be done on earth as in heaven, and we pray for our daily bread (to do God’s will today). When we consider daily bread this way, we're not just asking for our material needs, but that God accomplish his will through us, so that his Kingdom comes now. 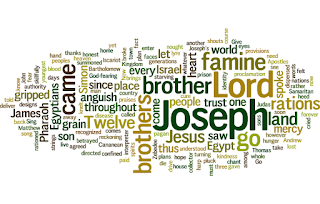 In today's 1st reading, Joseph's siblings, who'd abused him, were now without bread, but Joseph, who had been rescued by obedience to God, practiced God's mercy toward those who'd sought to destroy him. Who has blocked my path, spoken harshly, been insulting or abusive? Lord, help me let go of the resentment, anger, or desire for revenge. Today's gospel reminds us Judas was given God's gifts to heal, evangelize, and expel demons. If he, who chose to betray Jesus, could exercise those gifts, so can my enemies, and who am I to judge them as unworthy? Mercy expands the effects of God’s will further than we can alone. God multiplies mercy by forgiving us, asking us to forgive, and empowering others to offer mercy too. The examen can help us know how to do the Father’s will, our "daily bread," today. Lord, may your will be my bread; may your mercy be extended wherever there's a spiritual famine! One Bread, One Body: "Worldwide famine": A worse tragedy than a famine for food is a famine "for hearing the word of the Lord. They shall wander... in search of it but not find it." Many have no appetite for God's word because they're stuffed with other things. 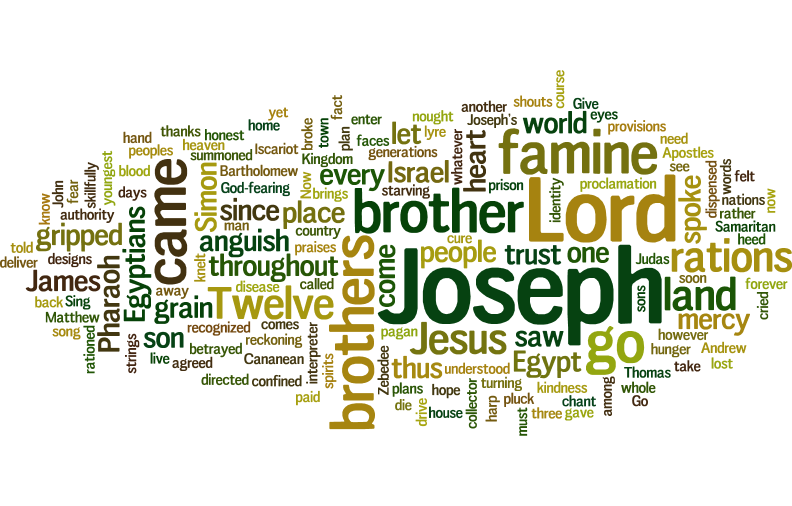 We need 'Josephs' to feed the world, Christians to feed the world spiritually. When the Lord returns, he wants to find us dispensing our grain to people freed from spiritual anorexia and "eager for... pure milk of the Spirit." May we have a healthy spiritual appetite ourselves and feed those who are physically and spiritually starving.